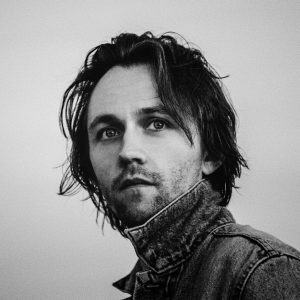 Sondre Lerche is a versatile Los Angeles-based Norwegian composer and songwriter, as well as and an acclaimed indie singer, songwriter & guitarist. His eclectic and richly melodic debut, Faces Down was named among the best albums of the year, and listed as one of the most remarkable debuts of 2002 by Rolling Stone Magazine. He also won a Spellemannpris (equivalent of Grammy) in his native Norway as Best Newcomer. Lerche is known for his beloved Original Soundtrack for the 2007 hit movie Dan In Real Life, starring Steve Carell and Juliette Binoche. In 2010, he co-wrote the song “Dear Laughing Doubters” with composer Theodore Shapiro for another Carell hit comedy, Dinner for Schmucks. Touring extensively across the world with artists such as Air, Stereolab, Jason Mraz, Milton Nascimento and Elvis Costello, Lerche has appeared on stages such as Carnegie Hall, Hollywood Bowl, Walt Disney Music Hall and Royal Albert Hall. In 2012 Lerche had the honor of appearing on an official postage stamp in his native Norway. From 2011-2015 he also served as a mentor on the hit talent show The Voice in Norway. In the fall of 2018, Lerche wrote and produced the songs for Norwegian children’s television icon Fantorangen, in a furry cross between an elephant and an orangutang, for NRK, Norway’s public broadcasting network.